The Rainforest Garden: I'm Giving Away Gardening Prize Packages! I'm Giving Away Gardening Prize Packages! Close your eyes, hold out your hands and get ready for some groovy gardening gifts. Thanks to some very generous contributors, we're giving away well over $200 worth of gardening prize packages to four lucky readers! From a vertical gardening prize package to a collection of gardening books, we're giving away something for everyone! Just leave a comment to enter. This is a quintessential collection of books for new and experienced gardeners alike and contains everything you need to know about completing just about any gardening task. Helen Yoest's Gardening with Confidence will help you do exactly what the title promises, giving gardeners permission to be creative in their own gardens without fear of being judged by others. She doesn't talk down to you when dispensing her invaluable advice, but rather gets you excited about whipping your own landscape into check with projects like planning a garden, planting containers and adding interest with fragrance, water features and structures. 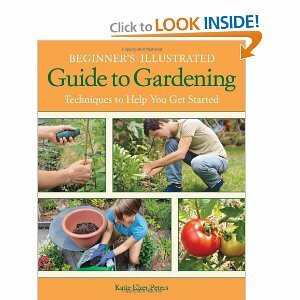 Once Helen's book gets you excited about taking on all of those gardening projects, Katie Elzer-Peters tells you precisely how to do everything in easy steps with her book the Beginner's Illustrated Guide to Gardening. Katie has been my editor and good friend for a few years now, but I was honestly blown away when I saw her book for the first time. She explains every gardening task with so much detail, yet in a simple and easy to follow way. The photo illustrations outline all of the steps visually, making every project not only easy, but a whole lot of fun. Maybe you're just making the switch to gardening organically. Well, I can't think of a better guide than Joe Lamp'l, host of the PBS show Growing a Greener World. 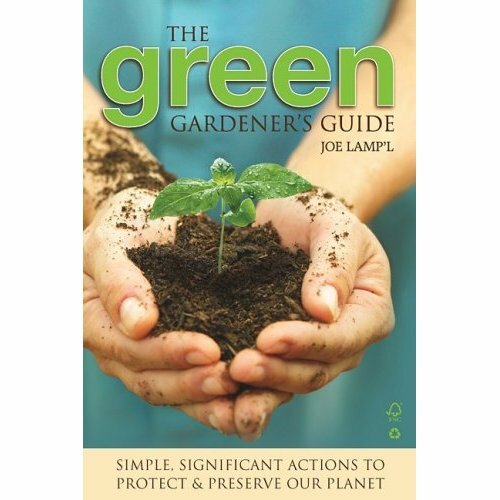 What I love about Joe is that while other 'green' gurus make the green lifestyle expensive and complicated, Joe manages to make sustainable practices look so affordable, simple and sensible that you'll wonder how you got along without him. 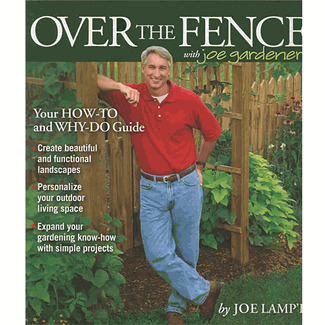 Joe has two books in this prize package: Over the Fence with Joe Gardener and the Green Gardener's Guide. This prize package contains everything you need to make your own miniature succulent garden, but let's start with the succulents themselves. Candice Suter of Sweetstuff's Sassy Succulents will be providing a healthy helping of succulent cuttings to get you started. 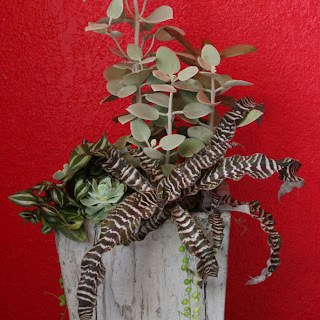 Oh, and if her blog's endless supply of horticultural eye candy doesn't get you excited about succulents, nothing will. Next you'll need a container, and this wood stamped cement planter from Nativecast is a perfect complement to the often muted hues of succulents. I used a larger version of this planter (pictured above) for a container combination in my upcoming book, and I think it turned out nicely. Every good recipe starts with good ingredients, the best cars run on premium fuel and the finest artists use quality paints. 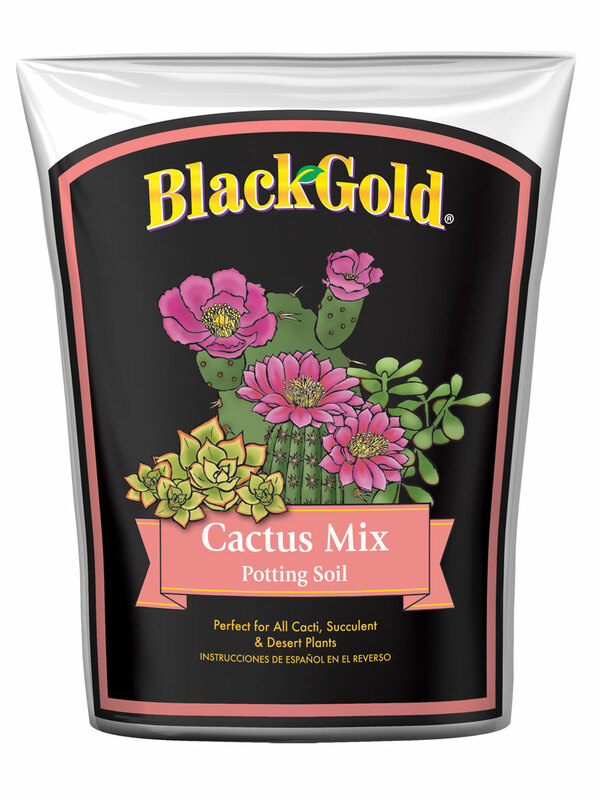 So instead of planting your precious succulents in regular potting soil, use this Cactus Potting Mix from Black Gold and never watch another aloe rot away in soggy soil. 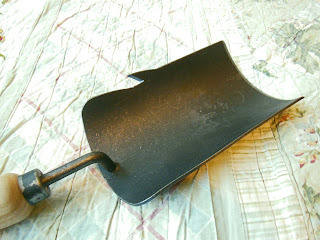 Finally, how about a handcrafted top notch soil scoop from Garden Tool Co.? My balcony is a mess right now, all thanks to my standard issue garden trowel that tends to spill potting soil all over the place. Shawna Coronado had this problem too, so when DeWit tools invited her to their blacksmithing workshop, she actually took a plane to the Netherlands and designed a new one along with Derk DeWit. It's U shaped to keep soil from falling over the sides, has a sharp bottom edge for removing old rootballs and comes equipped with a sharp hook to the side that tears open soil bags with ease. Who wouldn't want to grow their own veggies in a limited space? Well, this package has just what you need... except pots, since they're cheaper to buy than they are to ship. What the heck. I WILL include a bag of Black Gold Potting Mix. 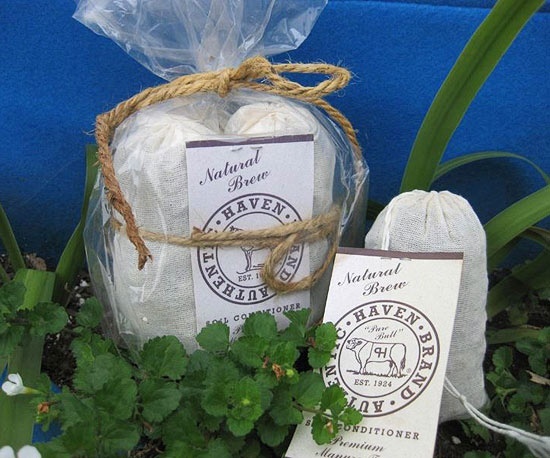 and a bag of Annie Haven's 'Moo Poo Tea' to keep your vegetables nice and healthy from sprout to salad. Seedlings get a nice boost with a little soak in compost tea! To get you inspired, have a copy of Vertical Vegetable Gardening by Chris McLaughlin. It promises to be a real treat for those of us with balconies or shady gardens, or just those who want vegetables right outside the kitchen door. Chris is the fastest writer I know and her writing is always to the point and approachable. Other than that, I'd like to add that she's a wonderful friend. Okay, enough of the sappy stuff and on to the veggie stuff. Baker Creek Heirloom Seeds was kind enough to provide a $10 gift card for seeds as a part of this prize package. I have their winter annuals, greens and heirloom squash growing in the garden as we speak and I'd love to introduce more people to their heirloom vegetables rescued from obscurity (and possibly extinction) from all around the world. I'm also giving away some of Sierra Rose Creations' EZ Mount Plant Pot Hangers to get you started growing up on your own. These things are a lifesaver. 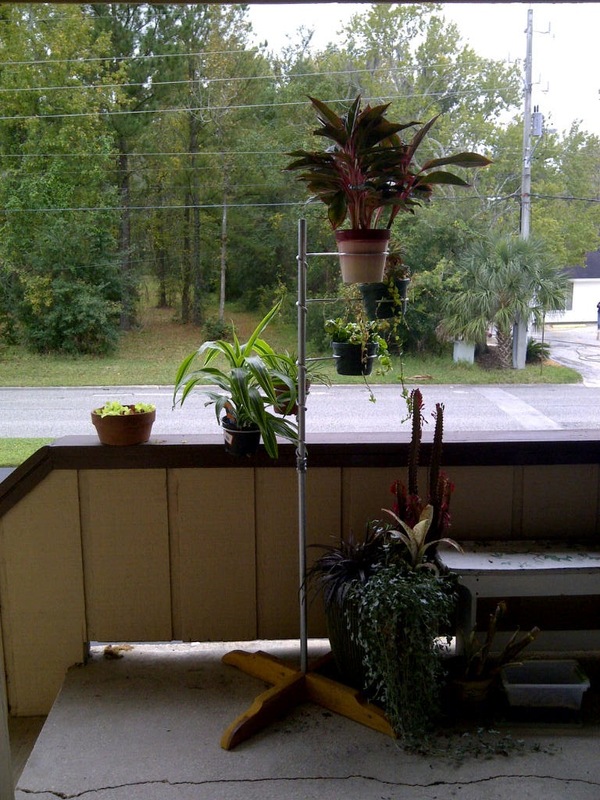 Just get a pole from the hardware store, slip on the plant pot hangers and watch your vertical garden grow. While I can't include their redwood stand in the giveaway, you might consider getting one. I now grow fifteen plants in a space that would normally only allow for four, which is a pretty big deal since my apartment is filled with plants. This might be the smallest prize package of the four, but you'll learn how to make your own creative DIY projects and have a tasty snack to fuel your creativity! 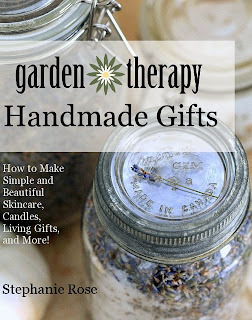 Stephanie Rose's Garden Therapy Handmade Gifts e-book walks you through DIY beauty products, decor projects and even living art! I'm a huge fan of Stephanie's Garden Therapy blog for its creative and classy craft projects, which are often so popular that I see them on Pinterest before I even visit her blog on my own. The second part of this prize package is a homemade gift from Carolyn Binder to you. She's wishing you a merry Christmas with a pound of her sweet and salty candied pecans, and having tried her food before myself, I guarantee that her pecans will make your holidays very merry indeed. All in all, this is a very big prize in a small package. Leave a comment on this post telling me which of these presents you'd like to win the most. You can enter once a day from now until next Wednesday December 19th at 10 pm Eastern Time, meaning you have seven opportunities to enter! I will draw the winning names from a hat on Thursday December 20th and announce the winners here at The Rainforest Garden. Since some prizes will be sent by me and others will be sent by the kind contributors, I can't make any promises that you'll receive everything by Christmas day... but we'll all do our best! Unfortunately, this is only open to US residents. As stated earlier, many of these gifts were provided at no cost to me so that they can be given away at no cost to you. Thanks generous donors! What a wonderful giveaway - sometimes I wish I lived back in the US (I presume it is only open to US residents? 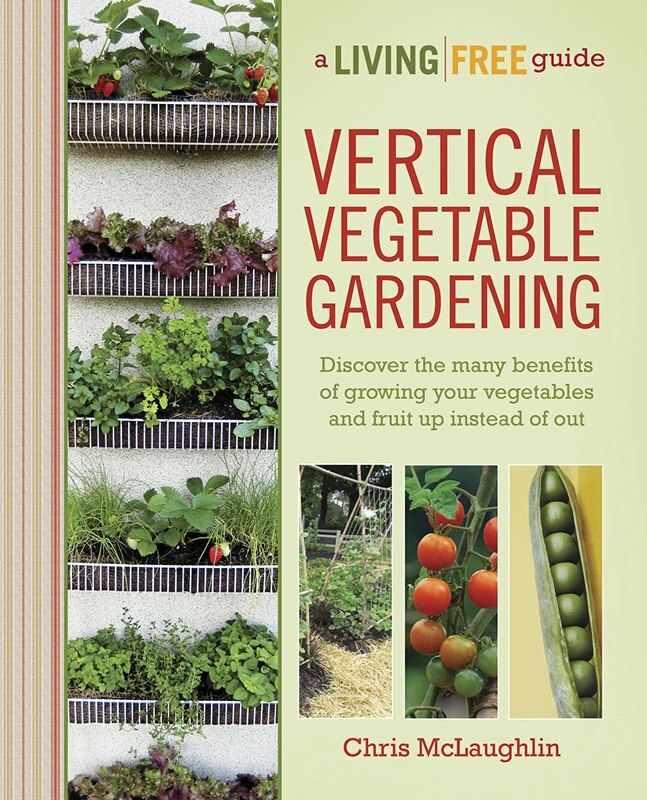 that vertical vegetable gardening book looks very interesting - I will have to see if it is available here. But if you lived in the US we wouldn't get to see your lovely garden! Let's make a deal: if I draw your name I'll at least try to get you the electronic edition of that vertical vegetable gardening book. Fantastic giveaway you have going on here, Steve. The pot hanger would be cool to have on our shaded porches for the plants we need to hide from the summer sun, but then again, there's no such thing as a bad heirloom seed. 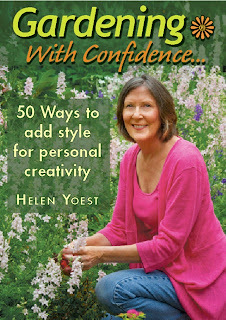 Great selection of books too, but I'm really lusting after my friend and neighbor Helen's book 'Gardening With Confidence'. Thanks to all the great contributors, and good luck to everyone. Good choices! Everything given away here is something I'm excited about as well, and Helen's book is no exception! Steve.. what fun . The Vertical garden looks wonderful. I would love to have the Vertical Veggie Garden so I could utilize small spaces to their fullest potential and at the same time educate the little ones in my daycare about plants and seeds. Great idea! Be sure to leave your name so that I can announce you if you win! The vertical veggie garden looks terrific. It would give us a lot more options in terms of using the only spot that gets full sun! Even though the hangers require a pole, I'm pretty sure that the book will give you enough ideas to make it worth your while! Think about how many veggies and other plants you could grow. 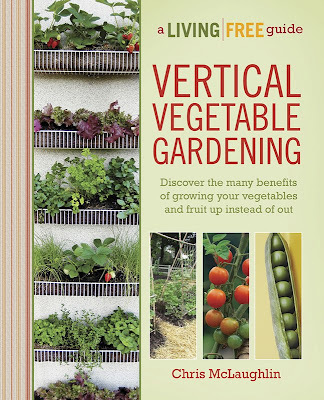 The Vertical Vegetable Gardening book looks wonderful. I don't have a lot of land, so I'm always looking for any way to pack in more edibles. 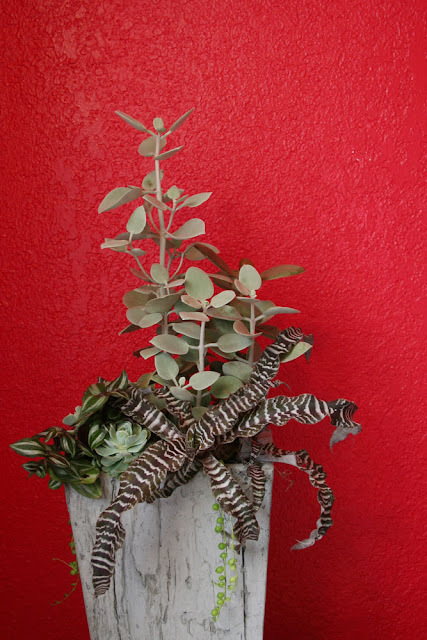 I'd like to win the EZ Mount Plant Pot Hangers or the DIY Succulent Garden prize package! I know that you would make good use of them! Vertical Veggie Garden is right up my alley (so to speak!). Good choice! I think anyone can use that prize package, veggies or not! This is awesome! All the prizes are great. I especially love the succulent garden and the EZ mount plant pot hangers. What a great space saver for those of us with small spaces who love plants! I live in PA and once the cold weather comes, I bring in many of my outdoor plants and my house looks like a jungle! Lol. The hangers are especially cool if you get the kit with the pole that they sell (or make your own if you choose) because you can just put it in front of a window! What wonderful prizes! The pot hangers look really nice. Excellent choice. They're fun to use too. Your giveaways all look awesome! Seems everyone loves the Vertical Veggie Garden Prize Package and I am no exception. I think it is exceptional however I would be just as happy to win the DIY Succulent Garden Prize Package. Everytime we go to visit my boyfriend's brother in New Mexico I am so envious of all his cacti. I think growing succulents would be most interesting as well. Good luck everyone!! Be sure to leave your name in case you win! 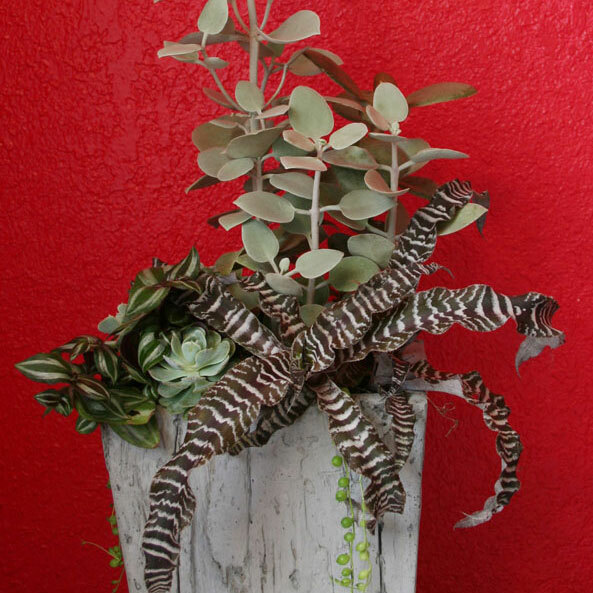 Succulents are a pefect match for the plant hangers, especially the ones that drape down or billow over the side. i would love to win any of these wonderful gardening tools but especially like the soil scoop and The Green Gardeners Guide. my husband and i love to dig in the dirt and are adament about organic gardening. Don't forget to leave your name in case you win! Looks like you'll be happy with either of those packages! I think that I would like the Joe Lamp'l books the most. What a wonderful collection of gifts! Good luck everyone! "Soil Scoop" will be helpful!...I'm thinking of my future terrace edible garden on the mountain slop behind the house as soon as I clean up the fallen trees (at least 4 dozens of) after uninvited and unpleasant visit from hurricane Sandy. Make sure you leave your name in case you win! I'm sorry about the damage, but I think that gardeners always keep a little excitement reserved for starting anew. I'd love the succulent planter package! That's really really pretty. Great giveaways, Steve (and those donating)! I happen to like how the ingredients work together too. Thanks! I want the vertical vegetable gardening book most because I have so little sun to work with, I need to go up! You and me both! I'd love to see what you choose to grow! Stephanie Rose's Garden Therapy Handmade Gifts e-book would be a great win! I think that each of these gifts would be of benefit to you then! Wow, what a wonderful giveaway. Everything is so nice its hard to decide. But I have to say I'm very interested in the Vertical Gardening. Thank you very much for the chance to win! Thanks! Vertical gardening is becoming less of a trend and more of a necessity these days! Awesome giveaway and thank you so much for the opportunity. Good choices! Of course, if you win the vertical veggie garden prize package you'll win the book and seeds too! I love the Succulent Garden, or the vertical Veggie garden and the homemade ideas. Too many choices, huh? :) Good luck! I would love to try the vertical veggie garden. Growing in a small dedicated space would make tending, watering, protecting and harvesting easier and more likely to happen! It's easier to water because you can collect the drainage beneath the pots! Good luck! I'm most interested in the DIY succulent package. The potting tool looks really useful, and I do have some aloe in regular potting soil that need to be replanted before they tip their container completely over. Again. This would be a most timely prize were I to win. That scoop would be great for getting through the roots too! It's a toss-up between the Vertical Gardening Book and the Garden Therapy book. Wait, add the Joe Lamp'l books to the mix. Aye yi yi! Hi, I would love the vertical garden. Its really cool, and a great space saver. Just a reminder, the package doesn't include the stand... but it is cheap and easy to get a pole from the hardware store! Thanks for entering! The DIY succulent package- never enough plants. Oh my gosh I've wanted a little succulent garden & a vertical garden for SO long. Well then, I wish you lots of luck! The DIY Succulent Garden is a great project for my home-schooled daughter! VERY nice package! What a cool way to teach and kudos to you! I would love to win The Gardener's Bookshelf Prize Package! Dude, I want to win it ALL, but Carolyn's pecans are the ones calling my name. I already bought Stevie's book of handmade crafts and let me tell you, if anyone's on the fence about buying - it's great! The chocolate lip balm recipe is super. Hello, i'm new to this blog, but happen to be very fond of Sweetstuff. I'd love to win the DIY Succulent Garden! Steve, I would love to win the Handmade Gift package. Stevie at Garden Therapy is one of my favorite pinners, and I love the blog! I've heard Carolyn's pecans are wonderful, too...would be thrilled to get those in the mail! I could really use some of Carolyn's pecans right now, I am craving sweets like crazy! The DIY Succulent Garden would be GREAT!!! The Succulent Garden looks gorgeous! I've been increasingly "addicted" to succulents over the past few years and would love to have this one!! I would like to win the vertical veggie garden pack. Thanks! For today's entry, I pick the succulents, because my succ tower kind of fizzled out this year and it could use some new plant material. I would love the vertical veggie garden pack!!! Thank you! Over the fence would be my second- I hope no one looks over my fence until I read it and work! Also, may you enjoy a wonderful holiday season and a special Christmas celebration. Hello again! I'd still like the DIY Succulent Garden! Today's choice is Moo Poo Tea, I have heard so many great things about it, and am curious to see if it could help me deal with my tomato blight problem. I realized yesterday that the EZ Mount Plant Pot Hangers were part of the vertical veggie gardening prize package, so DIY Succulent Prize Package is my first choice, then the Vertical Veggie Gardening Prize Package. Hi Steve, loving those succulents :-), and the potting tool is very nice! Thanks for all the wonderful choices! would love to get the DIY Succulent Garden to add to my collection of succulents. Today I'm picking the soil scoop because I love that it has the little prong to help rip open the bag. Hi Steve! I would love to win the Vertical Veggie Garden Prize Package. The EZ Mount Plant Pot Hangers. That would be great for all my Epi babies that I'm starting. I always wanted to try some of Annie Heaven's Moo Poo tea. I've never used black gold soils. I'm always looking for better soils and mixes. The Baker Creek Heirloom seeds is another thing I'd like to have too. The entire package looks wonderful! I love Chris McLaughlin's books too! She's a wonderful writer! Hope I win! Merry Christmas everyone! It's hard to choose just one package! I like them all! Wonderful selections! I had forgotten we could enter more than once. Whoops. Still, it only takes one time to win, right? I'm still interested in the succulents. After that it would be the vertical gardening. Lots of mature trees here, so not a lot of sunny spots. Thanks for hosting this giveaway, and thanks to those whose donations make it possible. Entering for the last time! Can't wait to find out the winners! Today I'm picking Joe Lamp'ls books because I haven't read them and I know he knows his stuff. Looking to start gardening. The vertical gardening looks like a good place for me to start. OH MY GOOSH I was totally wanting to go vertical this year since my garden space was sacrificed for a new pet horse. I would lover to be entered into this increadable give away.